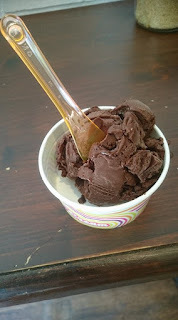 Category: Vegan cafe, homemade comfort and junk foods. Wait for food: Generally 15-20 minutes. 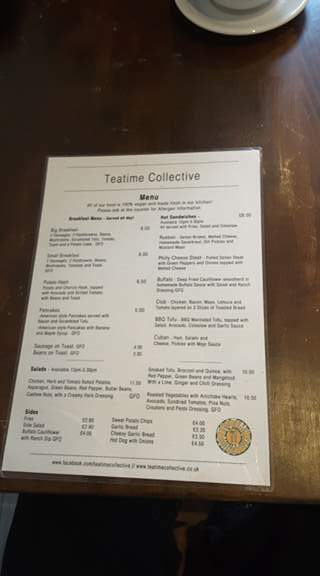 Teatime Collective is my all time favourite vegan eatery in Manchester. 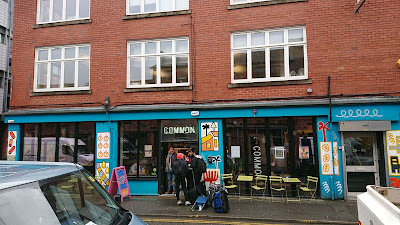 It is the very inspiration for this blog because it is so undervalued in the Manchester vegan community and I wanted every vegan to know about this place. I get so excited whenever I get the opportunity to take someone to Teatime Collective for their very first time. Teatime Collective was formed out of the punk community in Manchester about 6-7 years ago now. Initially showing off home cooked food at house parties, they started catering at punk festivals and it grew from there. 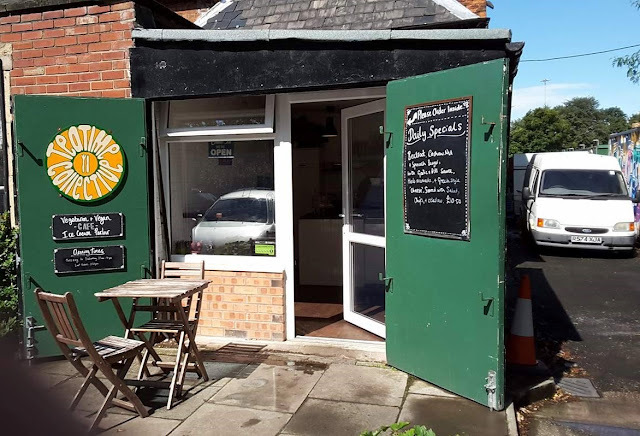 For a while they catered at festivals and fairs before opening the cafe they have now in Hulme. 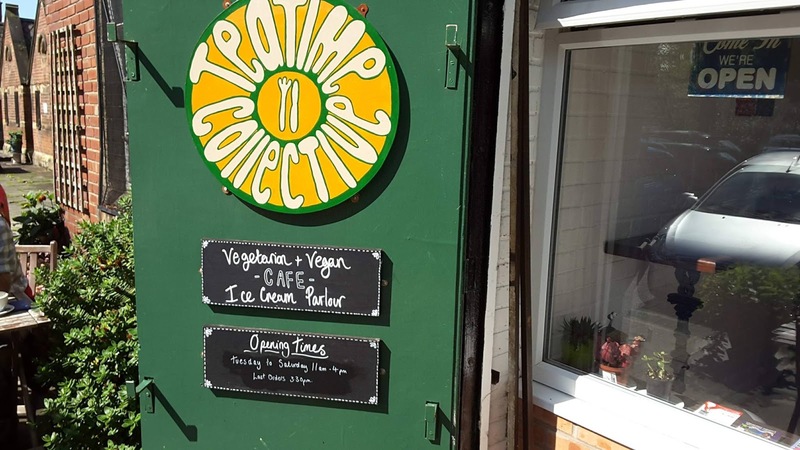 Teatime Collective is a fully vegan cafe in the heart of Hulme. 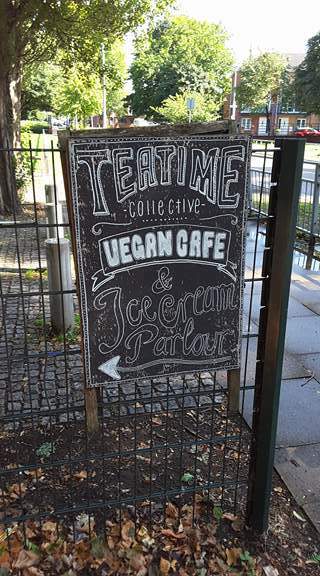 They serve a variety of vegan comfort foods and deserts. 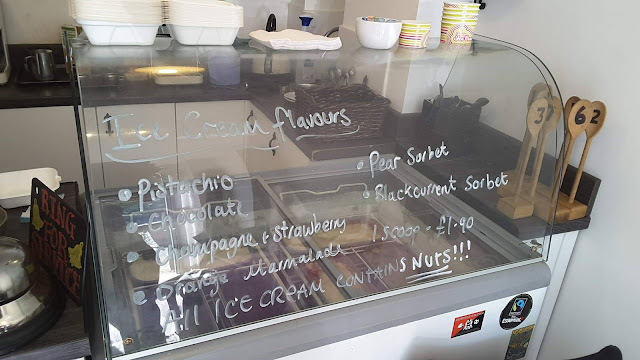 You can get all day English breakfasts, or breakfast style pancakes. 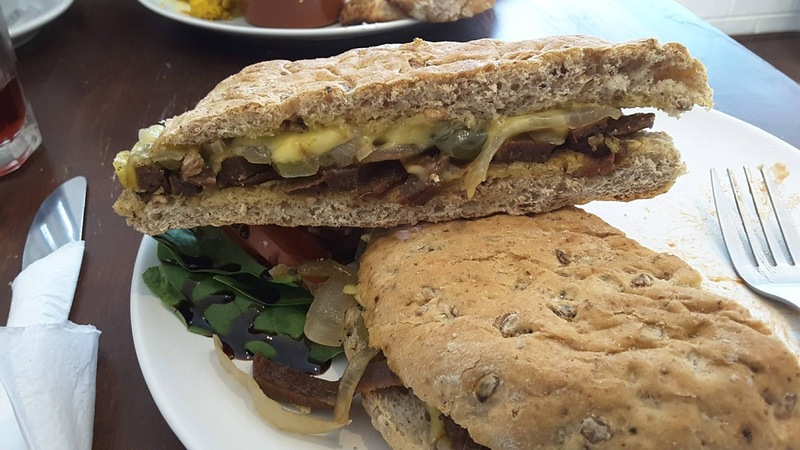 For mains they have lots of faux meaty sandwiches or large salads. They have an ice cream parlour where they serve many amazing creative flavours made by themselves. Takeaway is available. 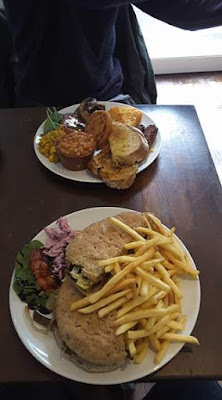 On this visit you can see I had a philly cheese seitan steak sandwich, my friend had a big breakfast and we both had a scone with strawberry cream. As well as a daytime menu, Teatime Collective do catering. 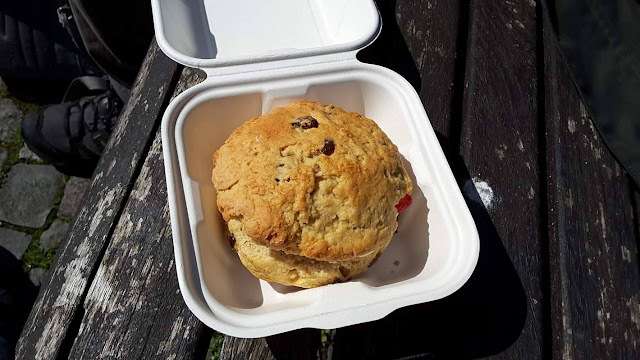 They can cater at festivals and fairs, as well supply buffets for events and they do arguably the best vegan cake in Manchester. They also supply a few shops and delis with items such as pies. You can book Teatime Collective out for group meals in the evening, where they serve you 3 course meals. If you get the chance to, try this out at Christmas where they do amazing Christmas dinners. Check out Manchester's Hidden Vegan Secrets on Facebook and Instagram.